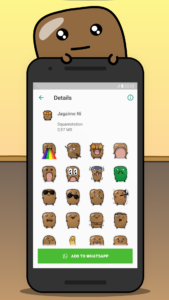 Better than a six-pack: Jagaimo’s sticker pack! 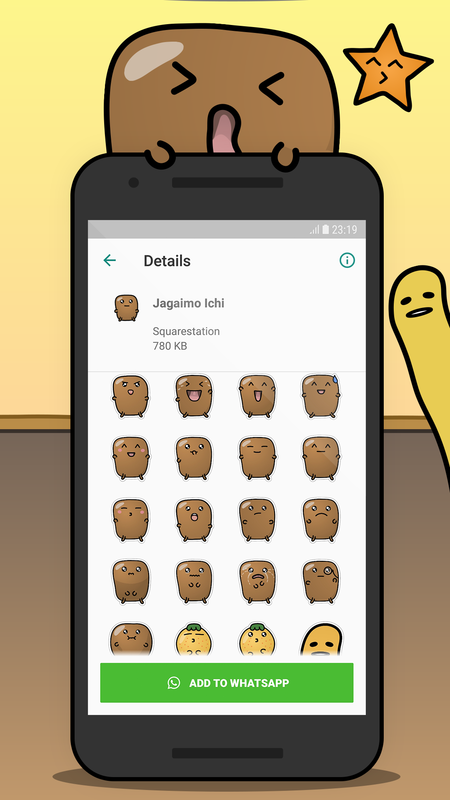 Jagaimo the Potato is back with the cutest sticker pack for WhatsApp! 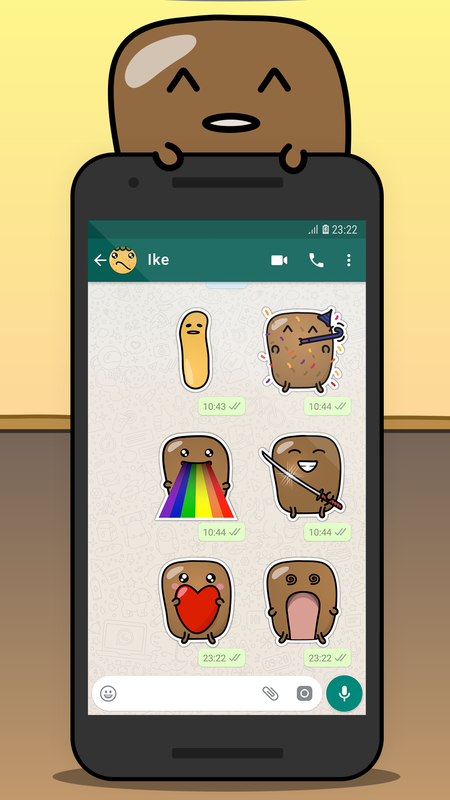 All stickers are beautifully hand-crafted, exclusively and only available in this app. 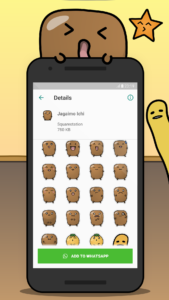 This is not just the next simple WAStickersApp! 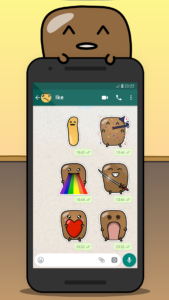 This is an exquisite selection of WhatsApp stickers, ready to impress your friends. You see? – There are stickers for all situations you will ever come across. Ditch all other sticker packs – this is THE ONE! 100% Guaranteed! 📥 Download Jagaimo Stickers for WhatsApp now! – 100% free, exclusive content, made by hand just for you!